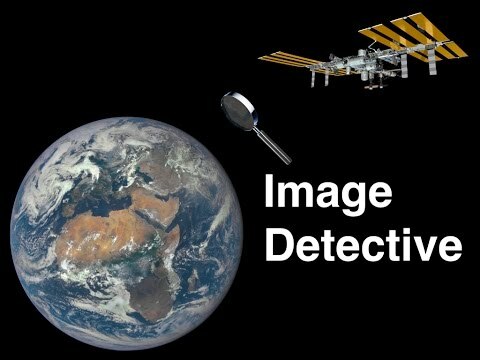 NASA had me at CosmoQuest, Image Detective sweetened the pot. A NASA funded citizen science project seeks public help identifying geographic features in photographs taken from the International Space Station. ISS astronauts take scores of photographs, science needs citizen help in creating a searchable image database of natural and man-made global locations. All you do is sign up, look at images and identify features. “The astronauts’ photos of Earth are visually stunning, but more than that, they can be used to study our changing Earth. From erupting volcanoes, to seasonal flooding, these images document the gradual changes that happen to our landscape. The International Space Station is the third brightest object in the sky. Moving at 8 km/second, ISS completes one orbit every 92 minutes. How fast is 8 km/second? Fire a rifle bullet at one end of a football field, ISS would be gone before that bullet reached 30 meters. Quick as ISS is, it can be seen much like a fast moving airplane, provided we know when to look up. NASA takes all the guess work out of ISS identification with their Spot the Station app. 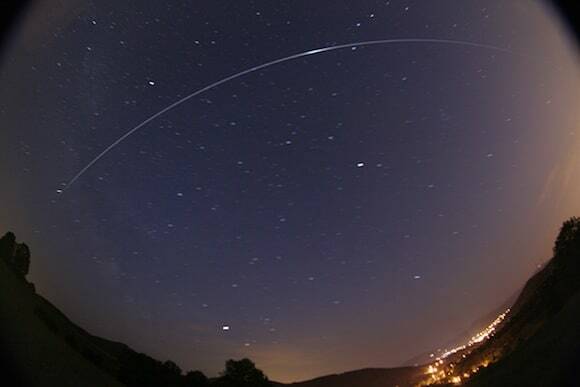 Click on the link below, enter your location and view time, direction, angle and duration of ISS sightings for the next week. True or aspiring space geeks can sign up for text or email alerts. I have no prizes, just kudos and admiration for those who “spot the station” with their very own eyes. European Space Agency astronaut Alexander Gerst captured over 12,000 images during his 6 month stint at the International Space Station. Gerst strung them together, producing exquisite time lapse videos. Watch and wonder.